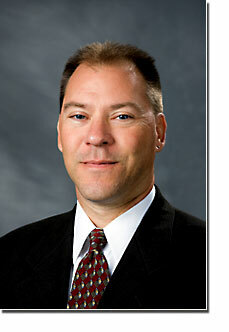 Mark Woodard currently serves as the Business Manager for the Health & Exercise Science Department. His professional background includes experience as a research exercise physiologist and project manager on NIH-funded clinical trials; department research projects on which he has participated include the FAST, OASIS, REACT I, and REACT II studies. Berry MJ, Woodard CM, Dunn CJ, Edwards DG, and Pittman CL. “The effects of a mountain bike suspension system on metabolic energy expenditure.” Cycling Science, 5:8, 1993. Berry MJ, Storsteen JA, and Woodard CM. “Effects of body mass on exercise efficiency and VO2 during steady-state cycling.” Medicine and Science in Sports and Exercise, 25(9):1031, 1993. Woodard CM, Berry MJ, Rejeski WJ, Ribisl PM, and Miller HS. “Exercise training in patients with cardiovascular disease and coexistent knee arthritis.” Journal of Cardiopulmonary Rehabilitation, 14(4):255, 1994. Woodard CM, James MK, and Messier SP. “Computational methods used in the determination of loading rate: Experimental and clinical implications.” Journal of Applied Biomechanics, 15(4):404, 1999. Rejeski WJ, Foley KO, Woodard CM, Zaccaro DJ, and Berry MJ. “Evaluating and understanding performance testing in COPD patients." Journal of Cardiopulmonary Rehabilitation, 20(2):79, 2000. Foy CG, Rejeski WJ, Berry MJ, Zacarro D, and Woodard CM. "Gender moderates the effects of exercise therapy on health-related quality of life among COPD patients." Chest, 119(1):70, 2001. Woodard CM and Berry MJ. "Enhancing adherence to prescribed exercise: Structured behavioral interventions in clinical exercise programs". Journal of Cardiopulmonary Rehabilitation, 21(4):201, 2001. Foy CG, Wickley KL, Adair N, Lang W, Miller ME, Rejeski WJ, Woodard CM, and Berry MJ. “The Reconditioning Exercise and Chronic Obstructive Pulmonary Disease Trial II (REACT II): Rationale and study design for a clinical trial of physical activity among individuals with chronic obstructive pulmonary disease”. Contemporary Clinical Trials, 27(2):135, 2006.